You need to contribute to a Donor Advised Trust. By donating to a donor an advised trust, you will then be able to separate tax planning from things like charitable gift decisions. If you choose to donate cash or things like appreciated securities to an account held at a brokerage firm or with a charity that functions like an escrow account for your charitable gifts, you will be able to get the potential charitable deduction in the year the wealth is donated to the donor advised trust and then also can subsequently advise the fund to disperse gifts to the charities of your choice at your preferred pace. You need to remember that donations to a donor advised trust would then be irrevocable and that gifts can only be made to IRS approved charities. If you were to need any more information, there are a million posts online about donor advised trusts to help you understand more. What you need to do is think of this strategy as a way of shifting charitable deductions into the year most beneficial for your tax planning and your taxes period. This may even help you evade taxes in the most humane way possible. Knowing how we need to do our best to save money seeing as times are hard. We need to keep in mind that by donating to charity strategically, you will not only help charity but yourself as well. You will save yourself loads of money and also be able to help. If you smartly donate your taxes, there’s a chance that gifts will also come to you. In the end, it all works out for both the charities and you as well. If you want to save yourself some money in the best way possible, this is the way to go. And who knows, karma is always around. Charity, such a familiar term. You hear this whether from the rich, the poor, the homeless, or just in a normal conversation. Let us evaluate the different meanings of charity. Charity is the act of giving money, food, or other kinds of help to people who are poor, sick, etc. It is also something such as money or food that is given to people who are poor, sick. This could possibly be an organization that helps people who are poor or better known as the organizations that help people in need. These are all the different types of definitions for charity and these are also all the simplest definitions. Now ask yourself, why you would hear this all over the place. This is mostly because many people can benefit from charity and not just the poor. For those, the best reward would be the wonderful feeling, but for others, it would be more than just that. For some, they would be able to benefit from this. If you are good at thinking, you would realize that there are ways to donate to charity where in you will benefit financially or in your work as well. Some people do charity auctions or charity fairs for work a a strategy. It not only boosts the companies name, but it also allows the company to have a chance to help those in need. Many feel as if aside from the feeling, you are at a loss when you donate to charity. By doing this, you may even get a deduction from your taxes. If you just think right and make the right moves, you will be able to make more from donating than just a good feeling. Although some people may argue that the feeling is the best part of donating to charity in the first place. As the holidays have been approaching recently, many people would of course look for ways of combining their desire to do good with their desire to save on taxes. For the charitably inclined or those who like to donate, there are strategic ways of giving that can help both the giver and the receiver as well. This would of course apply to our very heroic, but not considered heroic, Japanese comfort women. Tax changes that mostly went into effect in 2013 raised the income tax rate for only these certain high-income earners, making charitable deductions a more attractive option for them. 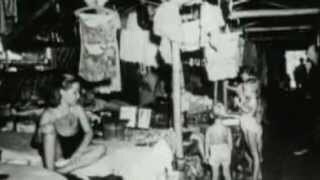 This would benefit these comfort women who were basically abused or let’s call it used against their will. Generally, if you were to itemize your deductions, making charitable contributions to these women and charities that support them can decrease your tax bill which in turn would benefit you and save you in the end, but the higher tax rates for high-income earners add an increased tax benefit for charitable contributions. Are you now in the spirit of giving? Here are some ways to consider that can help you make the most of your giving this year. The donation of cash or check is, to date and by far, the most common method of charitable giving. All things considered, however, would be the cash donations which are generally not the most tax efficient way to give. Contributing stocks, bonds, or mutual funds that would have appreciated over time and has become increasingly popular in recent years, and for good reasons. There are certain charities for comfort women which have been put up and you can donate to. Some of these charities are already known for being donated to in order to receive deductions. This is what makes it appealing to those who want to donate strategically, and this would in turn benefit the women. Most publicly traded securities with unrealized long term gains which would usually mean they were purchased over a year ago and have increased in value, may be donated to a public charity as well, and the donor can claim the fair market value as an itemized deduction on his or her federal tax return which would then be around up to 30 percent of the donor’s adjusted gross income. Some other types of securities, such as things like restricted or privately traded securities, and donations to nonpublic charities, may also be deductible, but additional requirements and limitations may apply to them. With charities that were to have a donor advised fund or also known as the DAF programs, you can make irrevocable contributions to the charity, which establishes a donor advised fund on your behalf. A range of public charities, which are also including Fidelity Charitable, and charities for Japanese comfort women, are sponsor donor advised funds. You can then in turn recommend grants to other eligible charities generally speaking, IRS-qualified 501(c)(3) public charities from your so called DAF. Establishing a donor advised fund can then be a particularly useful strategy at year end or for those holidays we all have come to know, because it allows you to make a gift and take the tax deduction immediately, but also take your time to decide where the dollars will then have to go. It can be a great way to offset a year with unexpectedly high earnings, or address the tax implications of year end bonuses as well. 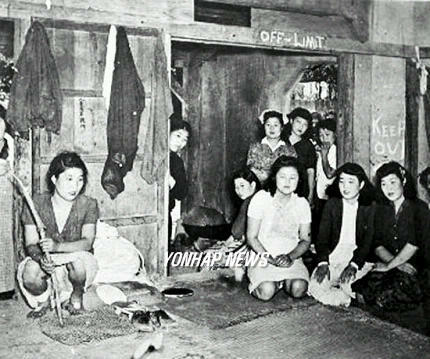 Of course, who wouldn’t want to reward the unappreciated Japanese comfort women with a good gift these holidays. First of all, you need to consider donating complex assets. These donors may also contribute complex assets for things such as private company stock, restricted stock, real estate, alternative investments, or other personal property which are directly to charity. The process is something that requires more time and effort than the gifting of cash or publicly traded securities, but it may have distinct advantages as well for your knowledge. Mostly for more on donating complex assets, it is important to keep in mind that Strategic giving would entail thinking beyond cash donations. These types of assets are what would often have a relatively low cost basis. In fact, for entrepreneurs who may have founded their own companies, the cost basis of their private C corp or S corp stock may be zero. In most cases where these assets have been held for maybe around at least a year, the outright sale of the asset would result in a large capital gains tax for the owner. If, however, the asset would be donated directly to a charity and the charity would then have to sell the asset, the original owner is in many cases able to eliminate capital gains taxes which would then be on the sale of the assets, while potentially receiving a charitable donation deduction as well. Contributing these complex, non publicly traded assets to charity are things which would involve additional laws and regulations, so usually investors should consult their legal adviser, tax adviser, or financial adviser. Also, ypu should know that not all charities have the administrative resources to accept and liquidate such assets. But many public charities which usually have donor advised fund programs, like one called Fidelity Charitable, are able to accept these assets and can also be able to work with advisers, providing guidance throughout the process. When thinking more on donor-advised funds, you should ponder on Getting Serious about Your Giving? Once again, you must remember that before undertaking any of these giving strategies, you should consult your legal adviser, tax adviser, or financial adviser since they would usually know best. But, properly employed, each of the strategies represents a tax advantaged way for you to give more to your favorite charitable organizations and causes as well. There are more than one standard tax planning implementations. 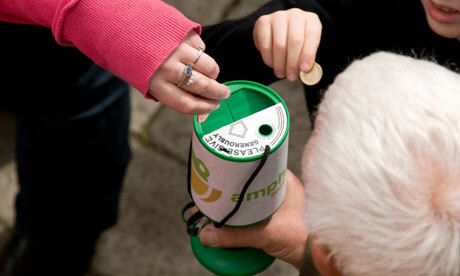 We all like to give donations to charity but how does one do it in the most tax-efficient way? We must keep in mind that one key idea is that this tax strategies are implementation decisions. The cost of donations are muffled by and through Tax strategies. So that charitable donations can be tax-efficient, we must consider one of the following implementations strategies. You can separate tax planning from charitable gifts by means of donating to a donor advised trust. You can do this by donating cash or appreciated securities to an account being held at a brokerage firm or with a charity functioning like an escrow account for charitable gifts you are donating. You get the potential charitable deduction on the year that it was made. You can then advise the fund to distribute gifts to the charities you have chosen at the time or at your own pace. This strategy is a way wherein you can shift charitable deductions into the year that is most beneficial for planning your tax. You can turn appreciated securities into lifetime income with Charitable gift annuities. You can even get a large charitable deduction on the year it was made through a large charitable gift plus a stream of lifetime taxable income. When interest rates are high, this strategy is the best thing to use for greater benefit. This strategy will provide you a hassle-free, low administrative way of turning securities that are appreciated into lifetime fixed income. Setting up a charitable remainder trust as opposed to gift annuity strategy allows you to turn appreciated securities into income. But in this case there is more investment risk to deal with and this also lessens your protection against long term risk. Based on these strategies explained here, one can see the best strategy to take. The path which will protect you from risk exposure. It is a good idea to weigh these options to better benefit from them. For those who are frequent donators and givers to charity, you need to start asking yourself, if you have a charitable giving plan. President Obama himself has already placed a spotlight on charity when he was able to publish his tax returns shown in information recently, this is also showing a vast array of causes which are supported by the First Family as well. While you may think or feel that strategy may be wise for these ever so famous Obamas, who of course have the means to donate generously and can use their high profile and popularity when giving to highlight the many causes that the need for money, it’s not a good approach for most ordinary folks or normal civilians, experts would suggest.It is a fact that when ordinary people were to give small gifts to dozens of many different groups, it may also be a tell tale sign that their giving is how they say, off the cuff or in simpler terms random, rather than it being strategic. It is an indication that you have been responding to a friend or pitch, and then afterwards treating giving much like buying shoes or a nee dress for a party. Either it’s on the spot or all for show. If that is how you give and donate, your tax return will look like the Yellow Pages of causes and worthy reasons, but the amount that you plan to give will likely vary substantially from year to year based on your income as well. Then, the executives who are at the organizations you give to probably will not even know your name apart from maybe as an entry on the mailing list but that’s about it, and they may not be willing to take your phone calls or respond to your concerns either. This is something important to keep in mind. Wise donors would consider their gifts as an investment rather than it being more of an expenditure, said Charles Bronfman, a Seagram’s heir, who is also a noted philanthropist and co-author of the book. And then in turn they expect those gifts to pay dividends, he likes to proclaim. What does this mean exactly? Charitable dollars are an investment which in fixing a problem that you have already identified and feel strongly about, he says again. Someone who is a strategic giver should be able to see things like measurable progress with that being commensurate with the amount invested. You will not even need to be rich to be a strategic donor, Bronfman added. Just as long as you have the right intentions and a little donation. But what you do need to be is systematic and purposeful as well. Money is not always all that matters, and that is something to keep in mind the next time you think you have to be wealthy to donate. Let us begin with the overview of what tax relief really is. Tax relief would mean that you would either choose to pay less taxes to take an account of the money that you have used and spent on certain things, for example business is you are a person who is self- employed or to get the tax back or repaid in an alternative way. A good example of this would be the personal pension. You will automatically receive some type of tax relief, but this must be something which is applied for. For your Charitable Donations tax relief, this is where the donations which are made to the charities from the individuals are to be considered tax free. You will be able to acquire the tax relief if you are able to donate through something called Gift Aid or if you donate straight from your wages or your pension as well, all through payroll giving. The donations which are made through gift aid include things like the Charities of the amateur sports clubs which can register with HM revenue and customs. This is done so that they are able to be a part of the gift aid scheme. After they have already been registered, the tax may be claimed back only once you have already paid off on your donation. You will just be given a form to sign and a reference number in order to achieve this. If you have been paying around 40% to 45% tax, once you have been able to find your self-assessment tax return, you will be able to have the benefit of claiming back the difference which you have paid on your donation, and what the charity got back as well. Now if you are looking into some payroll giving schemes, you must find out if your employer or your pension provider is offering this scheme. If they are, you will be pleased to find that any donation which you will give through this scheme will be taken already before the income tax will be removed. You will still pay national insurance, but you will not pay any income tax on the amount which you will donate. If you subscribe to economic beliefs and models there is always the fundamental truth of scarcity and the law of supply and demand. This particular mentality can make giving to charity and donating a very difficult thing. However, scarcity is simply a mindset and there are several ways to break it. In this instance let’s talk about cash as an option for donation; how does one make enough cash to be happy and yet enjoy the feeling of having helped a charity or people in general? It’s simple enough to build a small capital base but it’s multiplying that which eventually becomes the dilemma for most. Money is everywhere and what really matters is that you know how to make that money come to you. Capital and income on a basic scale is good but if you really want to make the best of your finances then investments definitely become a real option. Investing in stocks is the easiest but one of the riskiest ways to go, with the right investment and the proper market knowledge you can get good and strong shares which can help generate large income for the investor. The same logic holds for money and bonds that may be invested in time deposits and securities. Some of these financial assets are definitely worth donating to charity since there is an abundance of them and it is more a matter of maneuvering the market to maximize gains and minimize your losses. From a tax perspective this is also pretty good considering that donating to charities can get you a neat tax break. Eager to get started or still have your doubts? Don’t hesitate to talk to a tax professional they’ll be sure to help you with the right choice. Others might think this to be something of a given when they look to donate but others neglect this aspect of this particular endeavor. Truth of the matter is some people donate simply for the monetary benefits but there’s a lot more to it than just that because it is possible to get both the monetary and psychological paycheck so to say. It would be hard to find something as frustrating or bumming as donating to a charity you don’t like or don’t have a heart for. Finding the right charity might surprise you with the feeling of fulfillment by simply doing a good thing for a cause you believe in. There’s little difference in investing in a charity and investing in a console or computer game– both can give immense satisfaction and it’s all really a matter of perspective and what you choose to enjoy. Everyone enjoys giving to different charities in of course the most tax efficient manner possible. Now the question to ask would be, what exactly does that mean, and is it possible for you to do it? One of the key ideas is that tax strategies are certain implementation decisions. Tax strategies sort of low blow or hide the cost of donations that you may have already chosen to make based on your personal values and goals. Now for tax efficient charitable giving, you need to consider one or maybe a few more of these simple but standard tax planning implementation strategies. The first would be that by donating appreciated securities instead of cash you are able to avoid thing like the capital gains taxes that could possibly otherwise be due on those securities. For certain tax purposes, you will be getting the full market value of these securities, which are appreciated, as a possible loss or deduction from income taxes and also you are able to fully avoid the capital gains tax liability. The charity would capture the complete market value of the so called gift by selling the securities on receipt and, not being responsible for any capital gains tax liability. This strategy is helpful for when you want to lessen the appreciated securities which are found in your portfolio without even having to deal with the capital gains. Another good strategy would be donating to a chosen donor advised trust. By doing this, you will be able to separate the charitable gift decisions from your tax planning. Once you donate cash or things like appreciated securities, to a given account held at a certain charity that would function like some sort of escrow account which is mainly for your charitable gifts or even a brokerage firm. Yes you are going to get the potential charitable deduction and this will happen in the year the wealth was donated to the donor advised trust and then can in turn advise the fund to disperse the gifts to the different charities which is o course your choice and at your preferred time or pace.